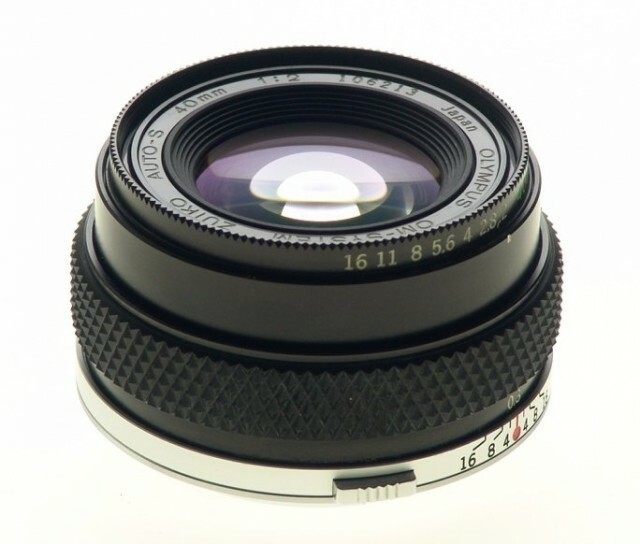 This lens has an angle of coverage of 56 degrees which is slightly wider than the human eye's usual field of view (around 50 degrees). 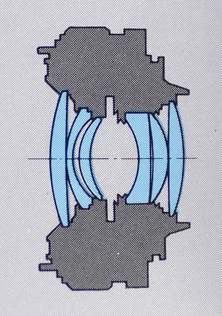 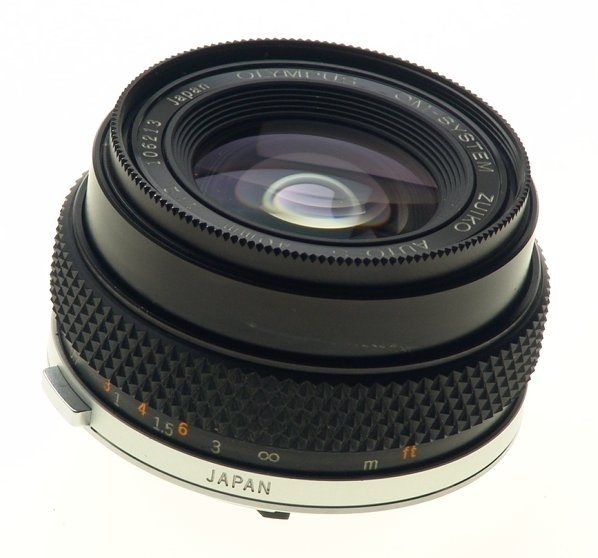 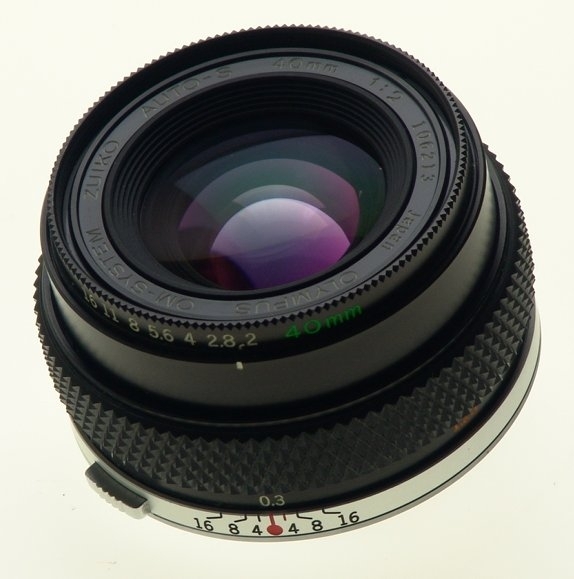 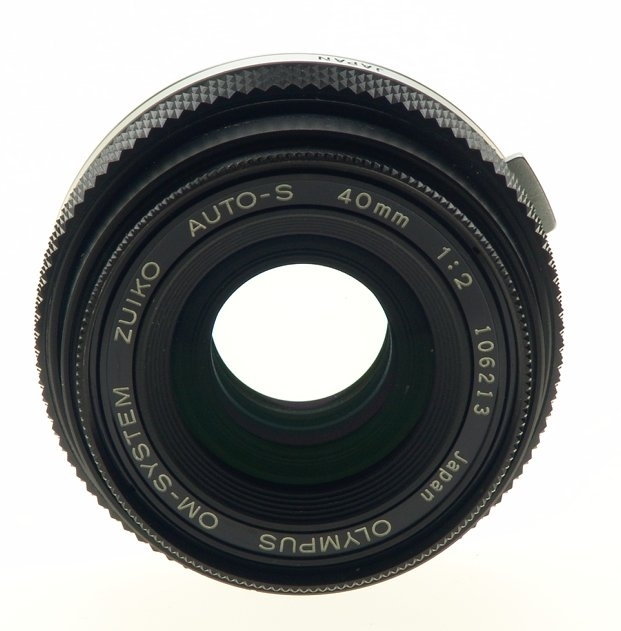 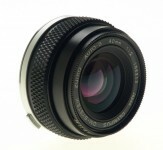 The development of this "semi-standard" lens was realized, reflecting the tendency that an increased number of standard lenses were manufactured with a shorter focal length and a wider angle of view. 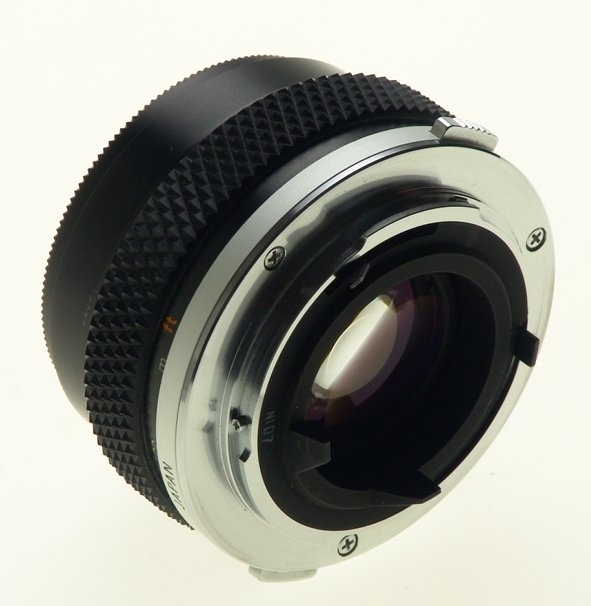 As this lens is 25mm in overall length and weighs only 140g, it is extremely compact and light, thereby enhancing the functionality of OM cameras. 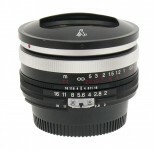 Its minimum focusing distance is 30cm - shortest among the lenses of this class. 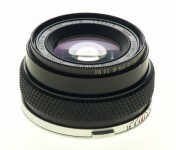 Because the maximum aperture F2 is one stop faster than the conventional design of F2.8 for this class, a construction of 6 groups and 6 elements were developed using an entirely new design technique. Aberrations were corrected to a great extent. 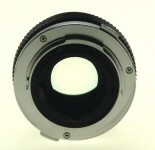 In spite of its fast speed, high sharpness and definition are ensured even in the picture edges. 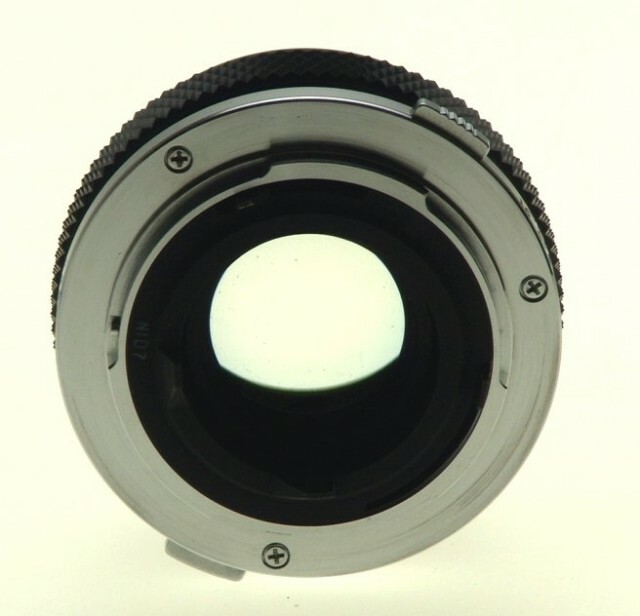 Of course, the lens is provided with a multi-layer coating to minimize ghosts and flare in backlighted situations and prevent deterioration in image quality. With its moderate wide-angle effects and slightly greater depth of field than a standard lens and, especially, with its very compact body, it is best suited as a primary lens for taking souvenir pictures, snapshots, landscapes and indoor pictures. 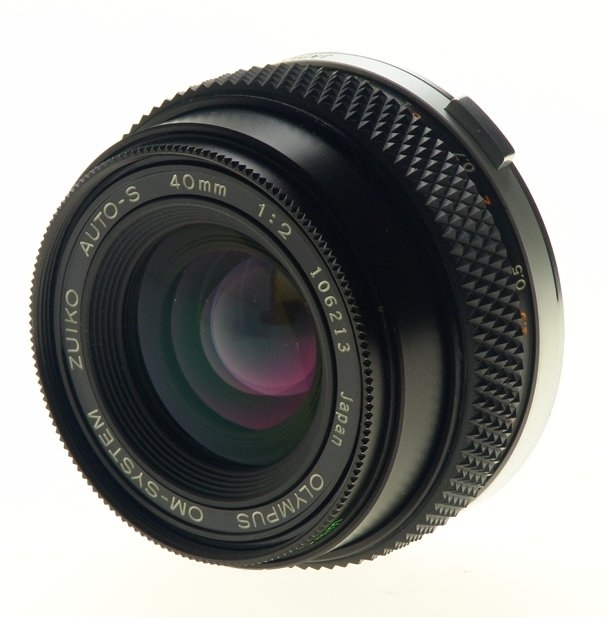 When using a polarizing filter, be careful as the filter turns by moving the aperture ring.